KrellTech’s Scepter Automated Polishing System accurately controls MTP and MT-RJ connector geometries on a consistent basis. Its precision workholder fixtures typically hold X and Y angle deviations to less than 0.1 degrees. KrellTech, the leader in connector polishing and inspection equipment, offers superior processing systems for MTP and MTRJ connectors and assemblies. Our polishing fixtures incorporate independent suspension at each connector position, guaranteeing equalized pressure distribution about all ferrules. Each connector position is also actively calibrated using KrellTech's patented optical alignment techniques. This yields superior and consistent endface geometries with typical X/Y axis deviations of less than 0.1 degrees. Workholders can be configured to polish up to 12 connectors simultaneously for mass production applications using KrellTech's Scepter for MT polishing. And since the system is PC controlled, each step of the process can be programmed for all polishing variables assuring that you get consistent results along with high throughput. For lower volume production and R&D, KrellTech's SpecPro can polish either 2 or 4 MTs. MT workholder fixtures are available for both multimode and single mode applications. As with most KrellTech polishers, in-line video inspection is available. MTs surface finishes can be directly viewed while the connectors are still loaded in the polisher providing immediate QA feedback and minimizing material handling. KrellTech multi-fiber connector fixtures are designed to meet rigorous requirements of endface geometries such as flatness and fiber protrusion required for multi-fiber ferrules. 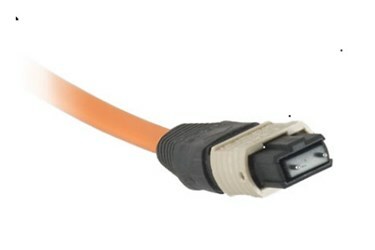 Connectors supported include MT, MTP, MTO, and MT-RJ. Both UPC and angled fixture are available.